TRIO Test & Measurement Solutions has announced the availability of the new Wonder Wave Series arbitrary waveform generators from Tabor Electronics. The Wonder Wave series is backed by a standard five-year warranty. These generators combine the capabilities of digital conversion and control with the signal integrity of synthesised analogue generators. 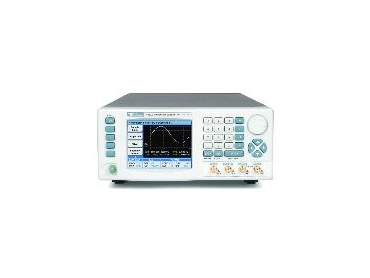 Sample clock rates from 50MS/s to 1.2GS/s give wide output frequency ranges from 1µHz up to 400MHz, depending on the model, making these instruments ideal for many applications in electro-mechanical simulation, communications and audio and video simulation. High vertical resolution of 12, 14 or even 16 bits means the Wonder Wave generators are the instrument of choice for narrow-band modulation and creation of complex waveforms with small details superimposed on large signals, such as noise simulation. Remote operation and connectivity are further enhanced by the use of Ethernet and USB 2.0 control interfaces as standard features, as well as the traditional GPIB interface. These new interfaces allow very fast download of large waveforms. The Wonder Wave Series carries on the Tabor tradition of flexible waveform and memory segmentation and sequencing, which allows the user to have optimal use of the memory in each instrument when building up long and complex signals, in addition to a complete range of standard waveforms such as sine, square, pulse etc. ArbConnection software, included with each generator, is an enhanced package to generate waveforms on a PC and download to the Wonder Wave generator. Wonder Wave will give R&D engineers and production personnel the high-speed capabilities and ease of control features they need, continuing the Tabor tradition of performance at value pricing.